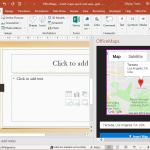 Learn more about PowerPoint add ins to enhance your presentations and ease your presentation design process. 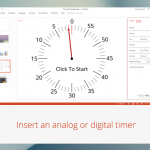 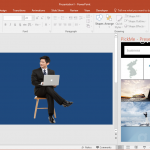 You can download free PowerPoint add ins as well as other free presentation tools including PresenterMedia addin, free Office Timeline addins and more. 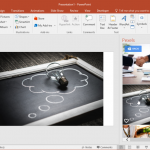 Nothing makes any document or presentation shine even more than some well-placed high-quality photos. 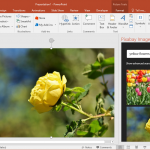 This is why Office makes it easier for Word and PowerPoint users to insert images into their documents and slides using simple add-ins like the Pixabay add-in. 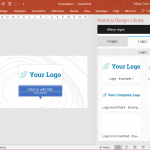 Adobe is one of world’s biggest creative community, thanks largely to its widely used creative suite. 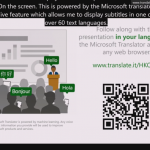 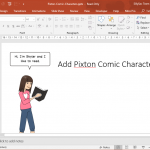 And for all Microsoft Office users, they can harness this community to put together more creative and compelling PowerPoint presentations. 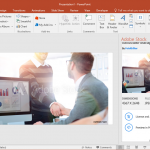 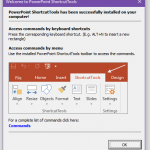 This is thanks to Adobe Stock, which can now be installed and enabled as an add-in specifically for PowerPoint.